Winnipeg is the capital city of Manitoba, and the largest city in the province. It is the seventh most populous municipality in Canada. The Transportation Master Plan 2011 commits the City to “Move to a road classification system that recognizes multi-modal travel needs and the concept of “complete streets”. In 2010, Assiniboine Avenue, a key route through downtown, was redesigned to become one of Winnipeg’s first examples of a Complete Street providing a high-level of mobility for all road users. 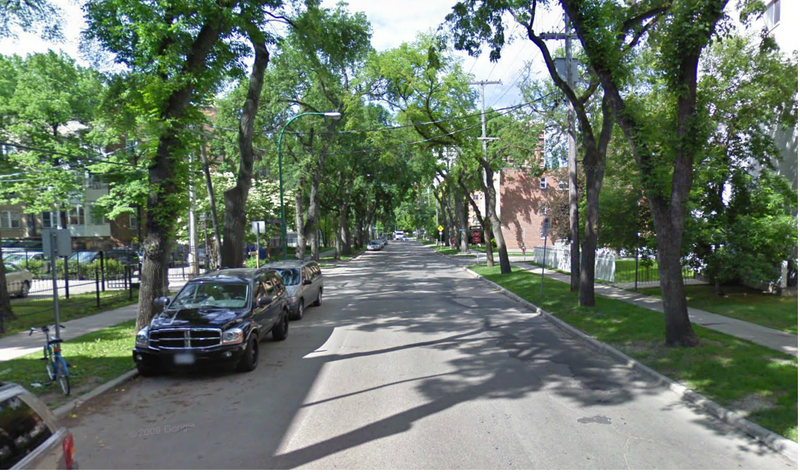 Today, Assiniboine Avenue is well known for having the City’s first separated bikeway. In addition, the redesign included improvements to pedestrian infrastructure including detectable pavers and curb bumpouts to shorten pedestrian crossings. The addition of the bikeway had little impact on transit service as no regular service runs on Assiniboine Avenue apart from one midday shuttle that operates between Garry Street and Fort Street. 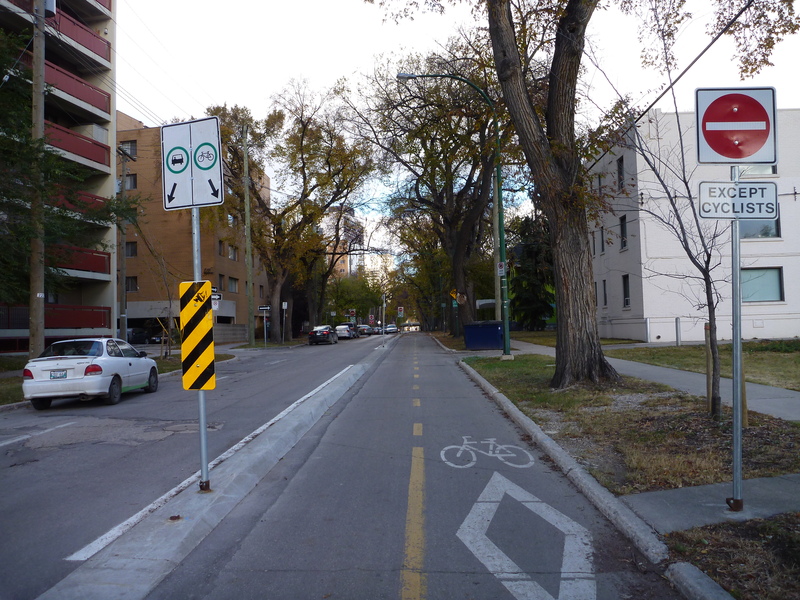 Winnipeg Bike volunteers have completed cordon counts on Assiniboine Avenue at Hargrave Street since 2009 and have found that the number of cyclists has increased by over 350% since the separated bike lane was complete. * This project was also featured in a paper presented at the Transportation Association of Canada Conference in 2010, titled: Development of the Assiniboine Avenue Bikeway in Winnipeg, Manitoba. The City of Winnipeg has recommended the development of a city-wide Complete Streets policy in their 2011 Transportation Master Plan. * Based on 2 hour cordon counts conducted at Assiniboine Ave. and Hargrave St. during the afternoon rush hour. Latest data showed an average of nearly 500 cyclists in the 2hr window. See the 2015 report.